Please refer to Details and Rates tabs for additional information and important disclosures. Very welcoming, understanding and helpful. I am very satisfied I came in to the branch to ask about student loans. DCU offers private student lending solutions to help you fill the funding gaps that federal aid can leave behind. By partnering with other credit unions to form Credit Union Student Choice, we are able to offer members maintaining sufficient academic progress lower cost financing options that will help you or a family member achieve your dream of a higher education. To learn more, apply, or to try our college planning calculators, visit the DCU Student Lending Center. To see if your school is eligible, use the Eligible School Locator Tool. You can also find out more about this product by calling the CU Student Loan call center at 800.324.1589. *Subject to credit qualification and annual credit review. The Annual Percentage Rate is subject to increase after consummation. Your interest rate is variable and may be adjusted quarterly on each January 1, April 1, July 1 and October 1 (Adjustment Date) based on the Prime index as published in the Wall Street Journal on the first business day of the month immediately prior to the Adjustment Date (e.g., December, March, June and September). Any increase in the index may increase the APR and the amount of your monthly payment. All loans subject to approval and restrictions may apply. We reserve the right to change rates for new applications at any time and without notice. The "Index" for the quarter beginning April 1st, 2019, is 5.50%, which was the Prime index published in the Wall Street Journal on the first business day of March 2019. The interest rate will not exceed 18.00% regardless of the Index. Current offered rate(s) are calculated by using the Index, Margin and Floor value(s) in effect. Your specific Interest Rate, Margin, Floor, and/or credit approval depends upon the credit qualifications of the student borrower and co-borrower (if applicable). Student borrowers may apply with a creditworthy co-borrower which may result in a better chance of approval and/or lower interest rate. The APR will not exceed 18.00%, or fall below the Floor rate regardless of the Index. Any increase in the Index may increase the APR and the amount of your monthly payment. Margin will be disclosed at account opening. Private Student Loans is rated 3.4 out of 5 by 27. Rated 5 out of 5 by Dennis45 from Good rates, easy application, saved me $$. Competitive rates, easy application process. I refinanced and consolidated some of my students loans which saved me money and reduced the number of servicers I have to deal with. Rated 5 out of 5 by Feisty from forget regular banks: this is the way to bank! I have never had unsatisfactory service at DCU or really at ANY credit union. I used to hate to think about loans and accounts. Since I have been using credit unions, for decades now, I have a whole different attitude. I love DCU. They are local faces with a more personal approach and are open to what members care about. Personally: I like using Secure Loans as a way of managing loans and money. At DCU they are open minded and welcoming. Why go elsewhere? There are plenty of branches in my area too. Rated 5 out of 5 by SL from DCU - AKA - Excellence! I have been a DCU member for over 25 years. I would recommend them without hesitation for checking, savings, CD accounts or any type of loan including personal, home equity or car. They have excellent rates and knowledgeable, friendly staff. Rated 5 out of 5 by SantyRit from Low interest auto loan I tried to apply for auto loan with various lenders, DCU is the only one which provided me the best interest rate. I never expected that low APR for my credit score and repayment options are simply superb.. Rated 5 out of 5 by Adrichri from Easy to fallow online Quick and easy to fallow online instructions. Quick respond and determinantio.DCU Made it easy for us. Rated 5 out of 5 by Peter from very well customer service very welcoming,understanding and helpful. Am very satsfied.I came in to ask about student loan, got some information but Chrisy spoke of personal loan and we pushed for this. A burden has been lifted,Thanks to DCU.I bank with Bank of America and they couldnt help. Rated 5 out of 5 by GolfGuy3231 from Student Loan This is an excellent product, streamlined approval proces, minimal paperwork and disbursement was handled flawlessly... Thanks DCU! Dear Sir/madam My son is fulltime student for undergraduate and he has completed two year and now he is junior but i need for next two year (approx $30000)for fee.My son don't have ssn. He will need to go to the Social Security Office and obtain a SS# if that is what she is stating, or as the mom, she could take out the student loan for her son and have him agree to help pay it back. Do I have to withdraw from my line of credit every semester? I have already taken loans out for my previous 4 semesters of college. I am an RA next semester, and my free room means I don't need to take out a DCU loan next semester. If I don't withdraw from my line of credit, will I have to start paying my previous loans, or do I not have to pay them if I am still a full-time student? Thanks! Please contact the Student Lending Center directly for assistance with your concerns. For information about your Undergraduate or Graduate Business line-of-credit ONLY, please call: 800-324-1589. You will want to contact the Student Lending Center directly at 800-324-1589. Does DCU do student loan consolidation? DCU Home Equity or Bill Consolidation Loans can assist you in colidating Student Loan debit. Do you offer loans for international students who got admissions in USA colleges? What are the procedures ,rates and eligibility? Student Lending Center – Learn more, apply, or try our college planning calculators. Quick processing and easy payment options and online access. NEW Student Loan Refinance Program – Refinance and consolidate your private and federal student loans into one manageable loan, setting up one convenient payment! 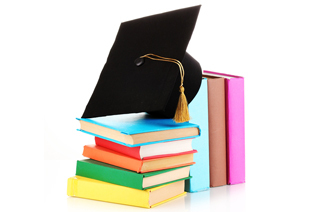 StreetWise Parents' Guide – Provides information on preparing your child for college and other related topics. StreetWise IRA Guide – Provides general information explaining how Individual Retirement Accounts and Coverdell Education Savings Accounts work and what your options are. DCU Scholarship Program – Each year, graduating high school seniors can apply for scholarships awarded by DCU. Financial Wellness and Recovery – Learn what DCU can do for you if you are now or think you may soon experience a financial setback. The earlier you contact us, the more we can do to help. How to Make Your Loan Payment – We make it easy to make your loan payment. Find out more about our convenient payment options.